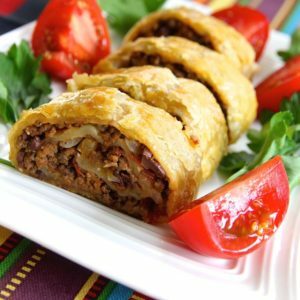 Puff pastry filled with spanish rice, black beans, roasted corn, cheddar cheese and ground beef. Topped with a chipotle cream reduction. Served with oven roasted rosemary red potatoes and tossed garden salad.